Guided by the mantra, “success simplified,” we work with our valued partners to help companies achieve a strategic vision, improve performance, and increase value to stakeholders. We work with the world’s best technology partners to bring you industry-specific solutions for Marketing Cloud, Sales Cloud, Community Cloud, Service Cloud, and Salesforce Quote-to-Cash. We partner to complement our services and to give our customers streamlined solutions across the Salesforce ecosystem. MuleSoft is the #1 leading platform for integration platform for SOA, SaaS, and APIs and provides exceptional business agility with an API-led approach. SpringCM makes work flow by generating, automating, managing, and storing your documents and contracts, simplifying your business processes so you can close business faster. 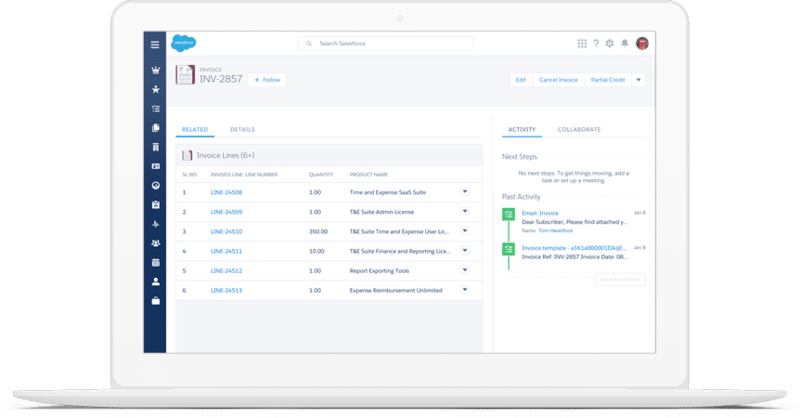 enosiX is the integration toolbox that connects SAP ERP and Salesforce in real time to help your team understand your customers faster. Jitterbit is home to Harmony, an API integration platform that gives you the ability to design, deploy, and manage the entire integration lifecycle on a single cloud solution. Prodly Moover enables rapid and painless migration of relational data between any Salesforce orgs. Streamline implementation of AppExchange apps and custom development with bi-directional migration of targeted data sets between Production and Sandbox orgs. As a Platinum Salesforce partner and the global leader in Salesforce CPQ implementations, we are the global standard for Salesforce quote-to-cash consulting. That’s why we rank in the top 1% of Salesforce partners in CSAT on the AppExchange. Boomi is the #1 iPaaS, allowing users to customize endpoint applications seamlessly into existing enterprise or API solutions. Conga increases the value of the Sales Cloud by removing systems and process pain points that impede the customer lifecycle through simplified documentation, contracting, data insights, and reporting. Avalara helps businesses of all sizes achieve compliance by providing a fast, easy, and accurate way to manage transactional taxes, from calculating rates to preparing and filing returns. The industry leader in e-Signature solutions, DocuSign offers fast and easy integrations for your business documentation needs across some of the largest enterprise platforms, operating systems, and APIs. Scribe’s cloud-based and on-premises data integration platforms offer pre-built integration to dozens of SaaS applications, data services, databases, and systems, including CRM, ERP, and marketing automation systems. Founded by developers, DevMountain’s expert faculty are passionate about sharing their craft and empowering the next wave of programmers, entrepreneurs, and designers. From administration to consulting to developing, Salesforce Trailhead offers training and certifications across every aspect of the Salesforce platform. The University of Utah shares our passion to educate students in technology-related fields. Our internship program gives students experience in various aspects of the Salesforce ecosystem and prepares them for a rewarding career. Salesforce is a significant contributor to our global economy, with an annual revenue of $8.4 billion in 2017. As a Platinum Salesforce partner, we are grateful to be the only SI partner who has received Salesforce Ventures funding twice. We are also excited to be the fastest growing partner in the ecosystem! In the Hawaiian spirit of Ohana, we value all of our peers in the Salesforce ecosystem, and we all work in tandem to bring ultimate value to the world’s Salesforce users. Take a look below at all of the Salesforce Global Strategic Partners to see the difference that Salesforce is making in your community. Have questions? Want to learn more about our Salesforce Global Strategic Partners?